Developed by Grand Master Choa Kok Sui, Pranic Healing is a highly evolved and tested system of energy medicine. It utilises ‘prand’, a Sanskrit word meaning ‘life force’, to balance, harmonize and transform the body’s energy processes. This invisible bio-energy or vital energy keeps the body alive and maintains a state of good health. It is also referred to as Chi in Chinese acupuncture and Ruach or the ‘Breath of Life’ in Hebrew. Pranic Healing is a no touch energy healing process that is simple yet powerful, and is based on the principles that the body has the ability to heal itself, and this healing process is accelerated by increasing ‘life force’. Pranic Healing corrects the energy imbalances underlying simple and complex disorders and it works by removing negative energy and replacing it with fresh vital energy called Prana – Life Force. 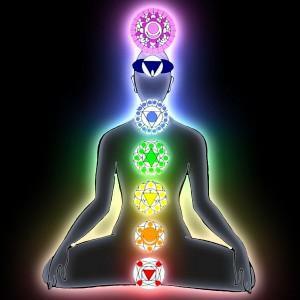 A Pranic Healer draws in Pranic Energy or Life Energy from our surroundings and works on the energy body as this is where physical ailments first appear as energetic disruptions in the aura before manifesting into problems in the physical body. No touch, drugs or gadgets are utilised during a Pranic Healing session and the Mind, Body & Spirit Centre offers this powerful technique by our own Pranic Healer Susan Skyring who has completed her training as a Pranic Healing Practitioner with her teacher Dr Peter Nai. Please contact the Mind, Body & Spirit Centre on Ph 0417 730 313 to book an appointment today.